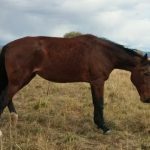 Sponsored by Alpine Bank, Thank you! 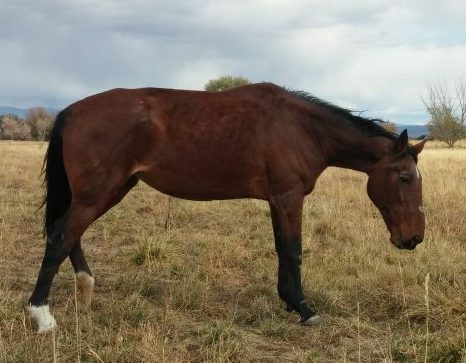 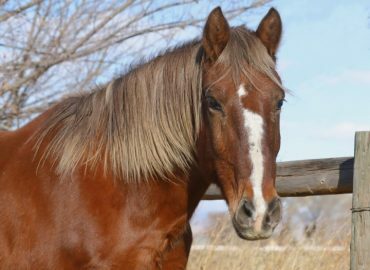 Bess is a regal mare and holds herself with a great deal of dignity. 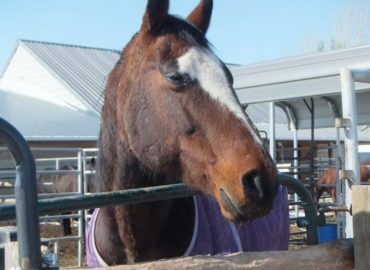 She is much like the elderly woman who is always draped in expensive antique jewelry. 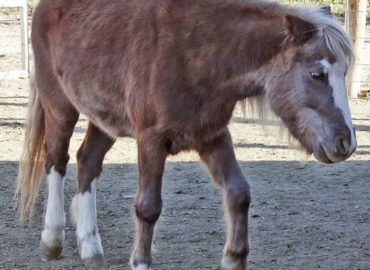 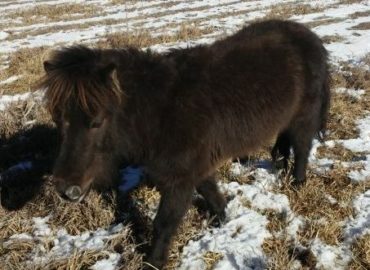 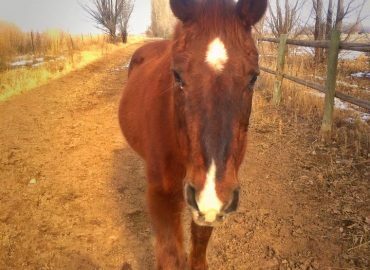 In her previous life Bess was a carriage horse on the 16th street mall in Denver. 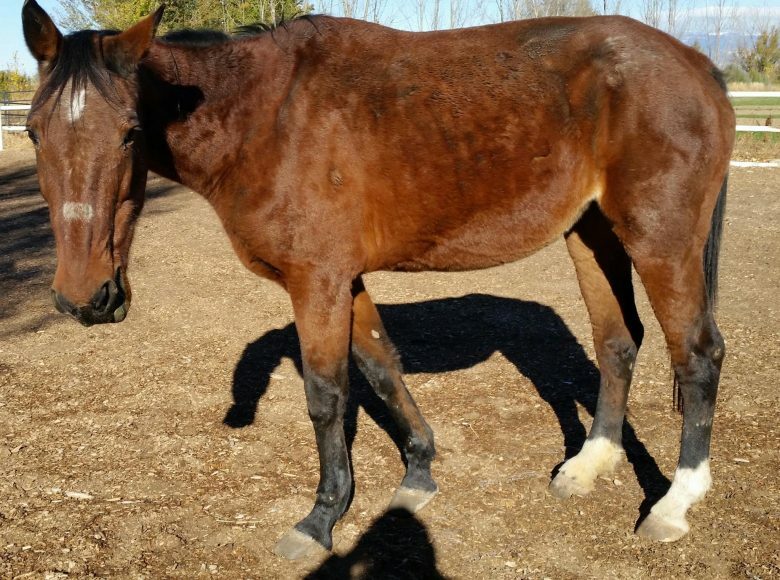 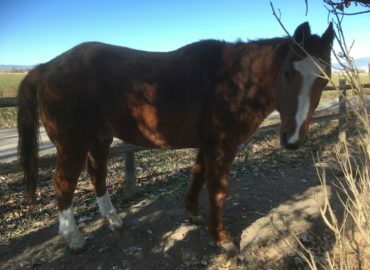 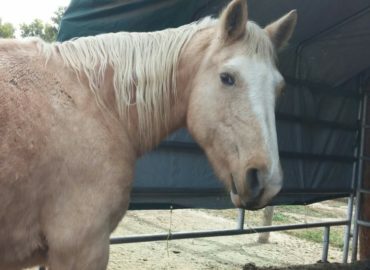 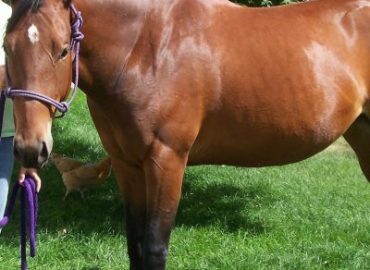 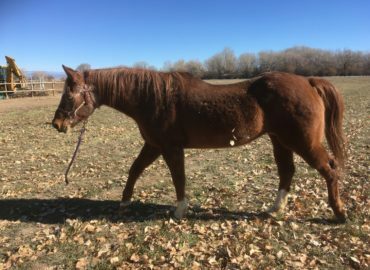 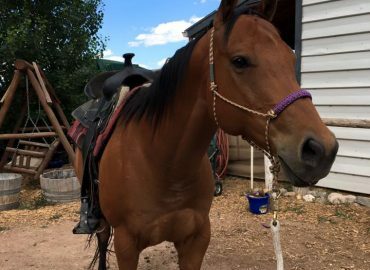 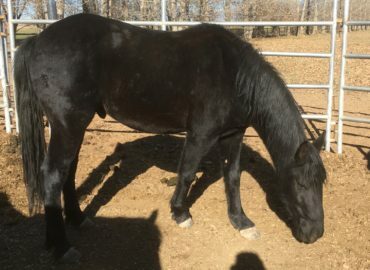 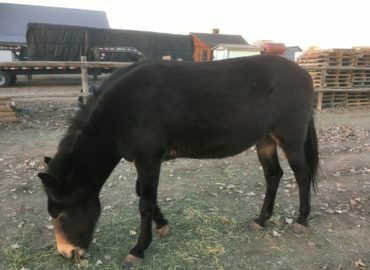 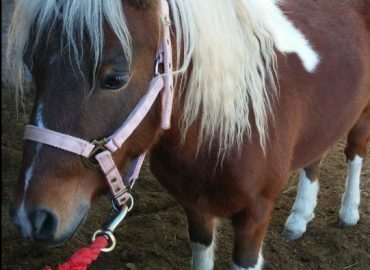 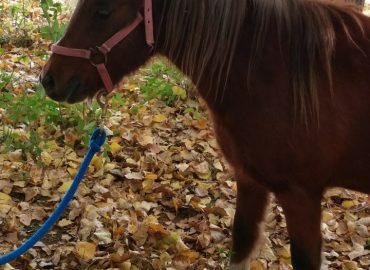 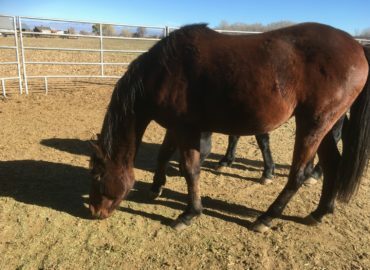 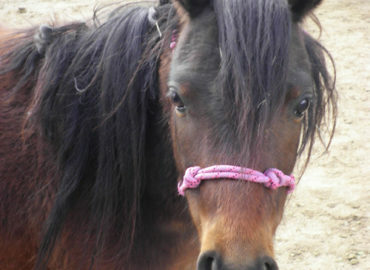 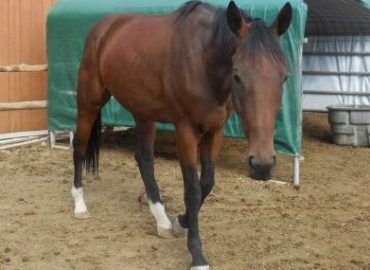 She was donated to us because her former owner had too many horses and not enough time for them all. 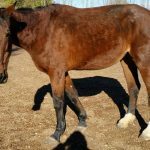 Bess has constant edema in her hind leg which has baffled our vets and we are still trying to figure put what causes it. 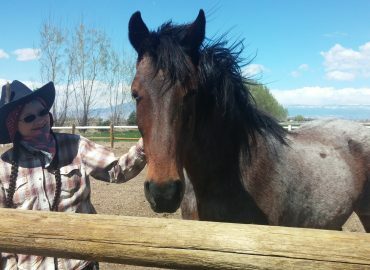 Bess is our tallest horse and is truly a gentle giant. 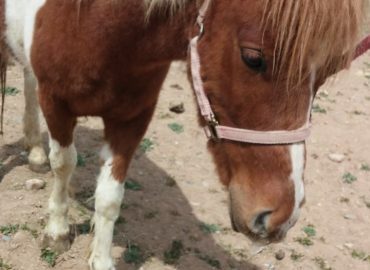 She can be a little standoffish at first and does not like her head handled very much but would never hurt a fly. 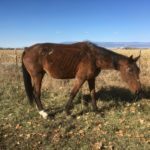 As she has aged Bess has developed arthritis in her shoulders and legs which make her stiff and she has been retired to the pasture. 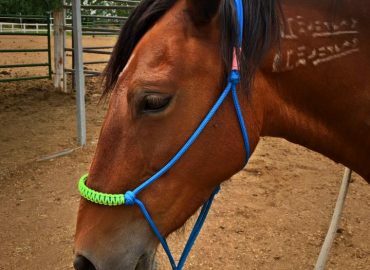 She shows signs of her hard life with scarring on the bridge of her nose from a halter and on her front fetlocks from being hobbled. 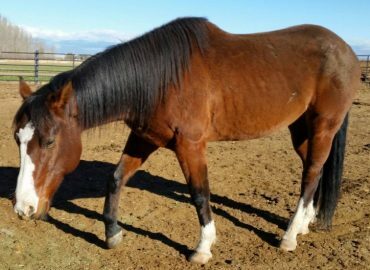 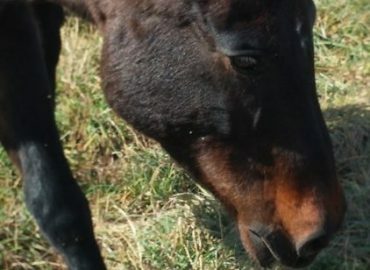 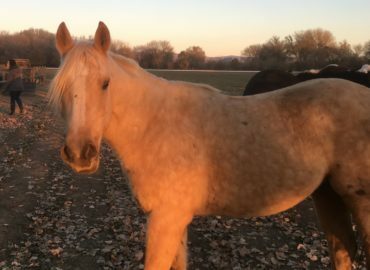 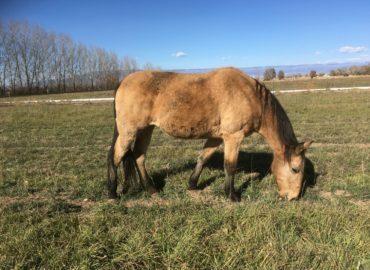 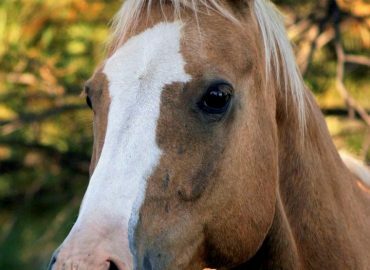 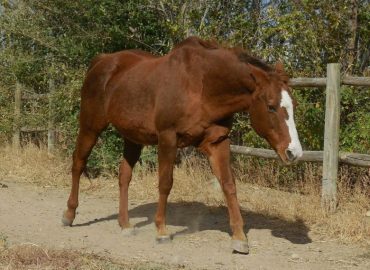 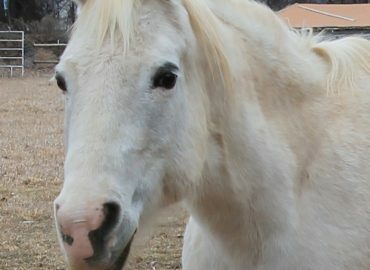 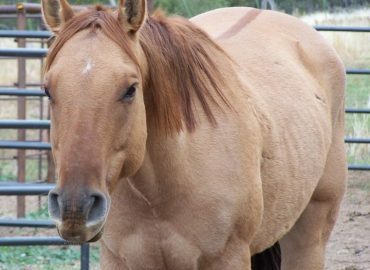 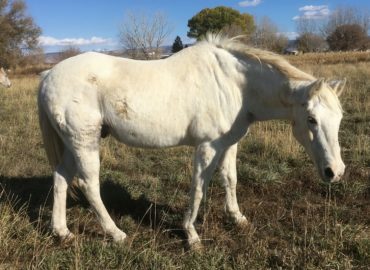 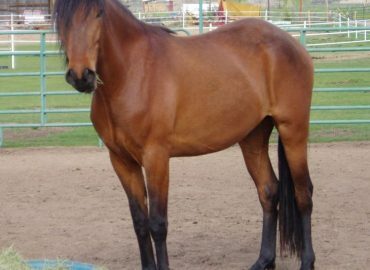 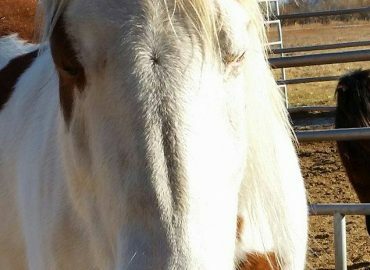 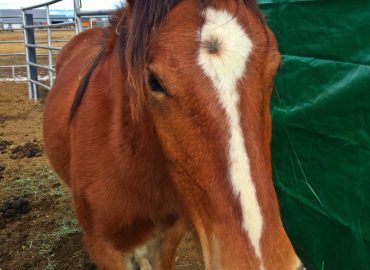 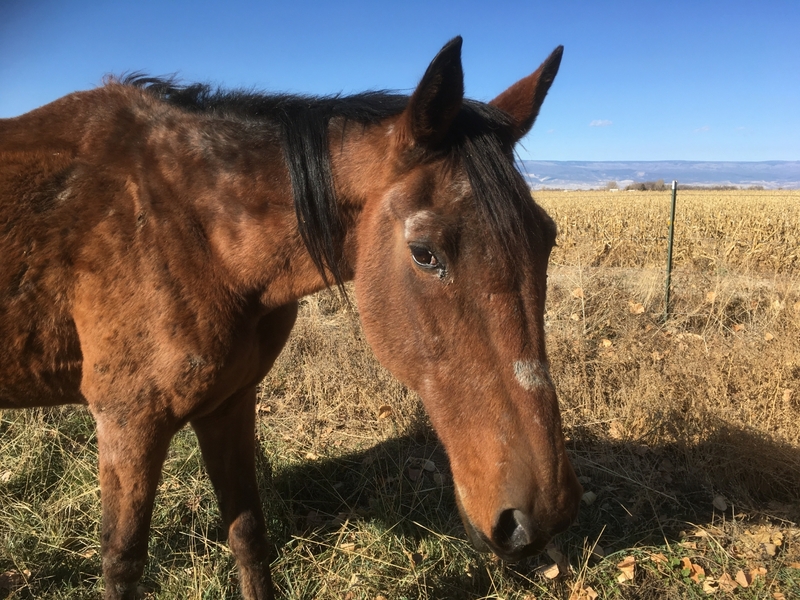 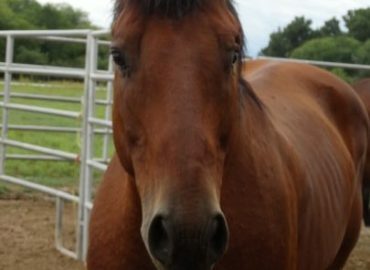 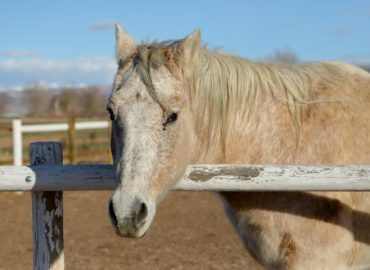 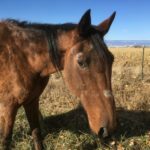 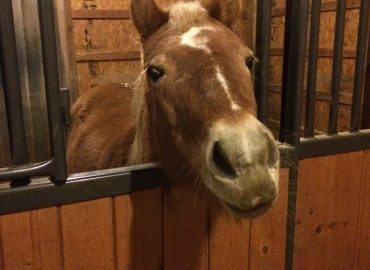 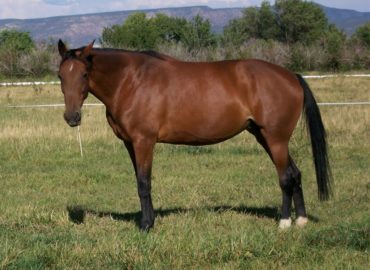 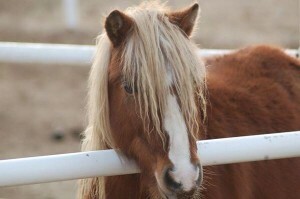 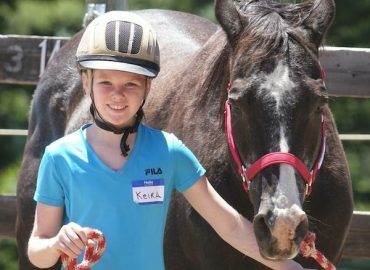 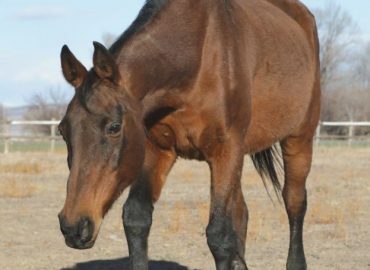 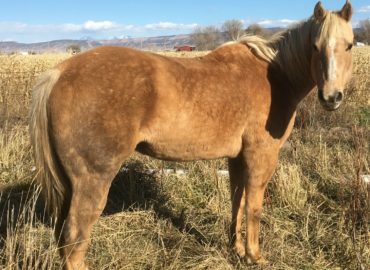 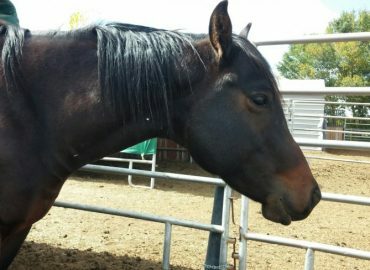 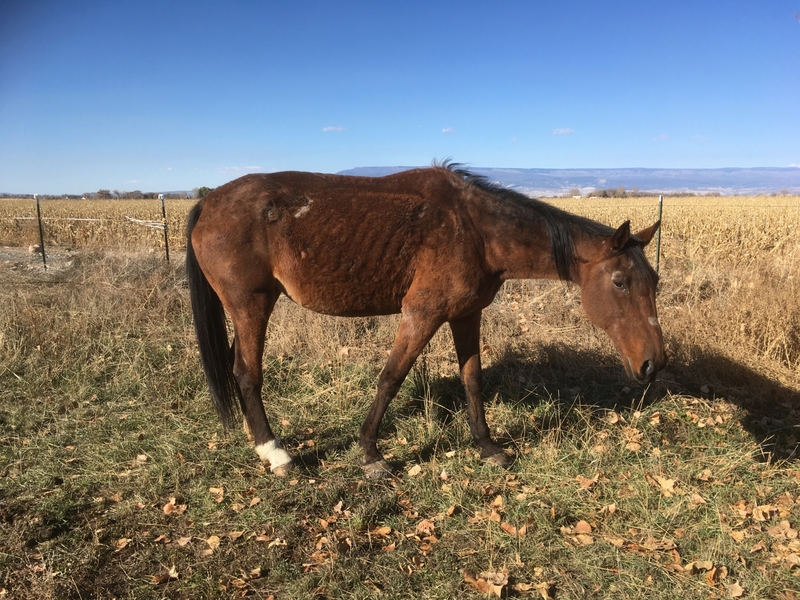 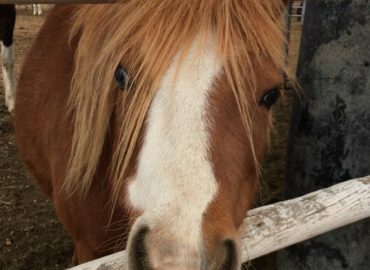 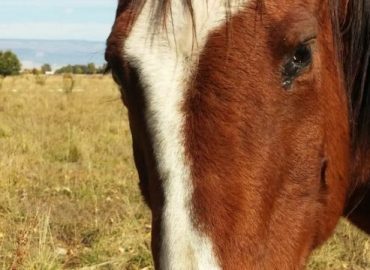 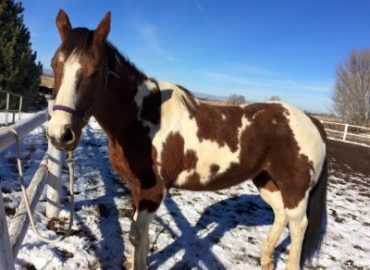 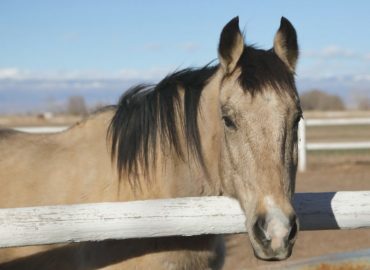 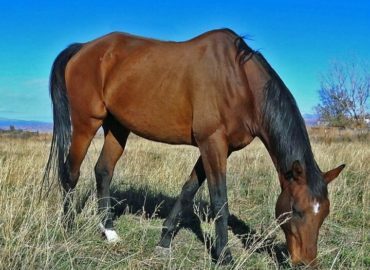 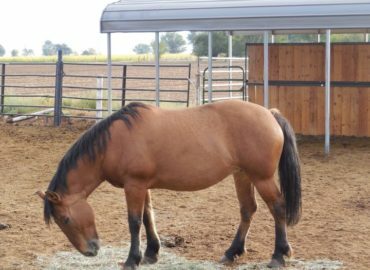 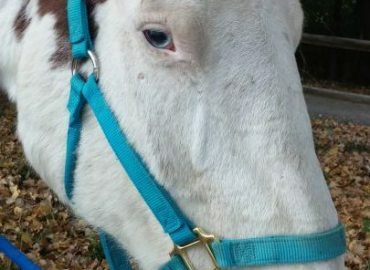 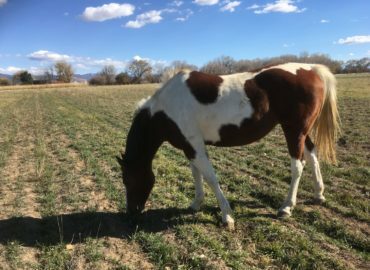 Bess is a sanctuary horse and will live out her life in the safety of End of the Trail Horse Sanctuary. 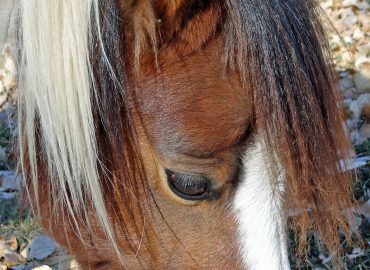 Like many of our senior horses she is never asked to join in the therapy sessions but when she chooses to come in the arena she is always welcome in the Mental Health therapies.